We are a dynamic, international department achieving high academic standards in the study of visuality, and ranked as the Top History of Art department in the UK (Guardian Guide 2019). Our BA in History of Art and BA in History of Art with Italian feature a term in Venice. Our vibrant and stimulating postgraduate environment offers an MA in History of Art and research degrees at MA and PhD level. We are the only UK university to offer undergraduate and postgraduate students the opportunity to spend a full term in Venice. The Venice programme has been established for 40 years, and the Department has a permanent teaching and research base at the Palazzo Pesaro Papafava. With a local base you can become familiar with works over time including exhibitions and events such as the Venice Biennale. The History of Art Department was ranked fourth in the UK in the 2014 Research Excellence Framework for the proportion of world-leading research activity (4*) in the department. With expertise spanning the medieval to the contemporary, our teaching and research supervision is significantly influenced by the research success of our academic staff. 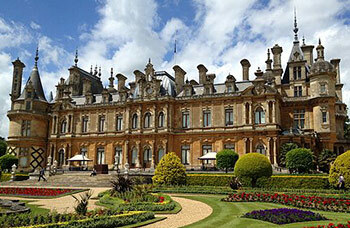 Our collaboration with Waddesdon Manor provides students with the opportunity to work closely with items from their extensive collection. First year students learn how to look, how to interpret what they see and gain an understanding of the relationship between art and its historical and physical contexts. Thinking of Studying History of Art? Come to Warwick! I would like to congratulate your department at Warwick for being the best university for History of Art in the Guardian 2019 awards, not a surprise considering the excellent lectures at the taster course! Serena, year 12 student. Visit History of Art Taster Days for information about our next course. 16:00 - 18:00: History of Art Alumni Careers Event. 20/05 - 21/05: Conference: 'Victoria's Self-Fashioning: Curating Royal Image for Dynasty, Nation & Empire'. WORKSHOP. Setting the Scene: the Architectural Imagination of Renaissance Artists.